Benchmark Foam brought in the new year by celebrating the official patenting (Patent D654600) of its in floor heat system product, Thermo-Snap™. 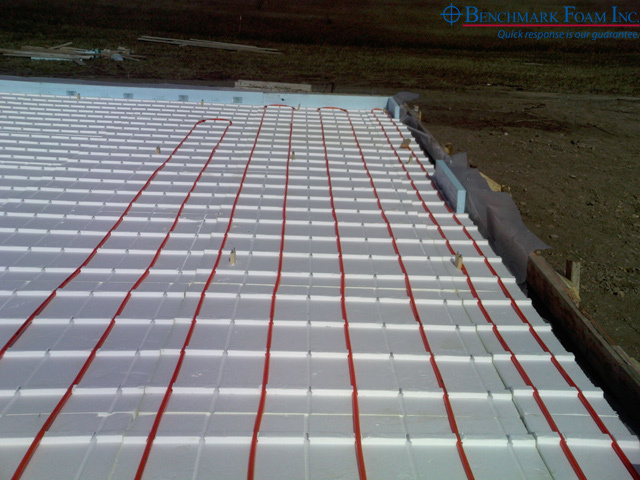 The innovative insulating panel that simplifies radiant tube placement while defeating flotation, displacement and uneven heat problems was first introduced by Benchmark Foam in early June, 2010. Manufactured from expanded polystyrene (EPS), Thermo-Snap™ acts as a thermal barrier to reduce heat loss. Maintaining long-term, stable R-values, it qualifies as a rigid foam board insulation approved by the Federal Energy Star Program and contributes to LEED green building points. 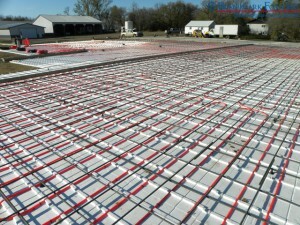 Since its introduction, Thermo-Snap™ has continued to revolutionize the in floor heat system installation process. No longer a "new" product, the patented in floor heat insulation panel is becoming widely used for new construction projects from outbuildings to homes to commercial structures. For more information and to discuss your upcoming projects, call the experienced Benchmark Foam team today at 605-886-8084 or 800-658-3444. You will receive a free quote, and as you move forward with your project, you will also enjoy the benefits of Benchmark Foam's On Time Guarantee that ensures product delivery by the agreed upon date. 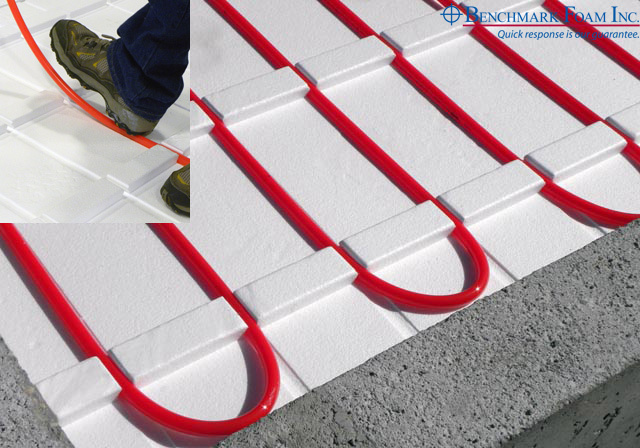 Join all the contractors who discovered, then quickly implemented regular use of Benchmark Foam's patented Thermo-Snap™ – the revolutionary in floor heat system insulating panel!